We have our own manufacturing for HDPE /PP Ropes. We have latest machinery and automatic process for making all kind of Ropes. We are manufacturing 3 strand Z Twist ropes. 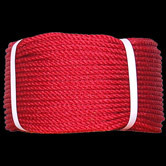 These ropes are manufactured with the help of virgin quality RAW material under strict quality control for international standards. 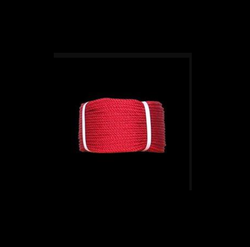 Highly Sophisticated & automated machines & modern production techniques ensure that these ropes are highly flexible & durable. Size 0.5mm to 3mm and 3ply to 108ply of 380 Denier. Twin available 0.060 grm to 0.500 grm, 40,50,100, 200 & 300 mtr. Available Colors Yellow-Blue-Green-Orange-Red-White-Black, -Light Blue etc. Product manufacturing by HDPE 3 Strand Twine, S Twister Twin and Z Twist Twin is available and Ultra - violet light stabilizer, is available on request. This Twin is manufacturing in Hank form. Vessels fisheries net , Sea Culture, Guideline, Packing, Bots, Caro, Nets, castration, Domestic Use, Bad etc. 0.5mm to 3mm and 3ply to 108ply of 380 Denier. Twin available : 0.060 grm to 0.500 grm, 40,50,100, 200 & 300 mtr. and any type of length/wteight as per buyer requirement. Available Colors : Yellow-Blue-Green-Orange-Red-White-Black, -Light Blue etc. and any other colour as per buyers equirement. 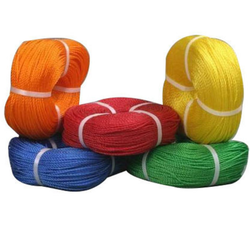 Each bundle shrink wrapped , 4 colour equally assorted packed in a strong woven sack bag. Outer bag colour is White & Yellow both are available.Assorted colour packing or single colour packing as per buyer requirement. Size 0.5mm to 3mm and 3 ply to 108 ply of 380 Denier. Packing Type Each bundle shrink wrapped, 4 colour equally assorted packed in a strong woven sack bag. Size : 0.5mm to 3mm and 3 ply to 108 ply of 380 Denier. Twin available : 0.060 grm to 0.500 grm, 40,50,100, 200 & 300 mtr. and any type of length / weight as per buyer requirement. Available Colors : Yellow-Blue-Green-Orange-Red-White-Black, -Light Blue etc. and any other colour as per buyers requirement. Packing : Each bundle shrink wrapped, 4 colour equally assorted packed in a strong woven sack bag. Outer bag colour is White & Yellow both are available.Assorted colour packing or single colour packing as per buyer requirement. Size 2 mm to 24 mm. Coil length available 100, 200 & 300 mtr. 100/200/300 yds. Size: 2 mm to 24 mm. Coil length available: 100, 200 & 300 mtr. 100/200/300 yds. With the help of our capacious warehouse, we are able to store a bulk amount of PP Danline Rope. 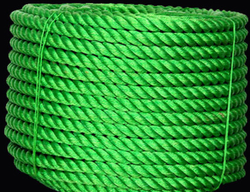 These ropes are widely acclaimed by the customers for their reliability, unique color patterns and high elasticity. Furthermore, we have a team of expert quality controllers, which checks all the products on various parameters to ensure flawlessness. 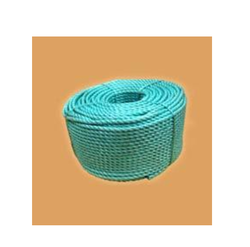 Our clients can avail from us High Density Polyethylene Rope that are widely demanded by several industries and sectors. 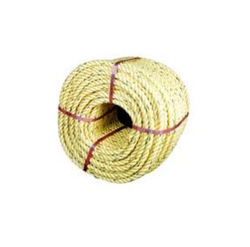 These ropes are manufactured, using high-quality raw material and latest technology, at our vendors' end. Apart from this, our expert quality controllers stringently check all the products on various parameters to ensure flawlessness. We are highly appreciated in the international market for our exquisite collection of HDPE Mono Rope. Travel Bag, Agriculture, Sea Culture, Guideline, Packing, Trucks, Bots, Caro, Nets, castration Packing, Home use, Tarpaulin, Goods handing etc.. Coil length available : 10, 20 & 30 mtr. 10/20/30/40/50 yds. & any type of length as per buyer requirement. Bag weight is maintain as per buyer requirement. Each coil in poly bag some coil packed in Poly Tube than some tube packed in owen sack bag outer bag suitable for export. Outer bag colour is White & Yellow both are available. 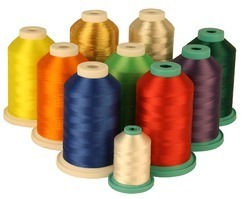 Assorted colour packing or single colour packing as per buyer requirement. We Are Looking For Overseas Inquiry Only. Packing: Each coil 4 side strap than poly bag some coil packed in Poly Tube than some tube packed in owen stack bag outer bag suitable for export. Above 14 mm coil packed in shrink pack then owen sack bag, outer bag colour is White & Yellow both available. 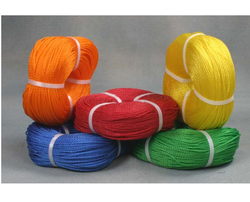 Assorted colour packing or single colour packing as per buyer requirement. Spool length available 100, 200 & 300 mtr. 100/200/300 yds. We are the manufacturer of Cheese Ropes. 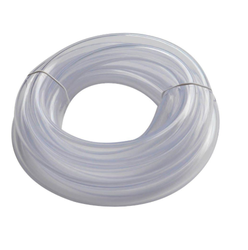 Spool length available: 100, 200 & 300 mtr. 100/200/300 yds. ID Wall Thickness Working Pressure Bursting Pressure Kg/Mtr. Mtrs. 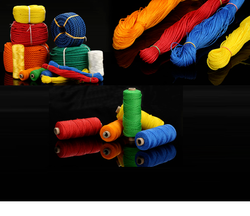 Owing to our enriched industrial experiences, we are committed to providing a wide variety of excellent quality PP Mono Rope. Looking for HDPE PP Monofilament Ropes ?